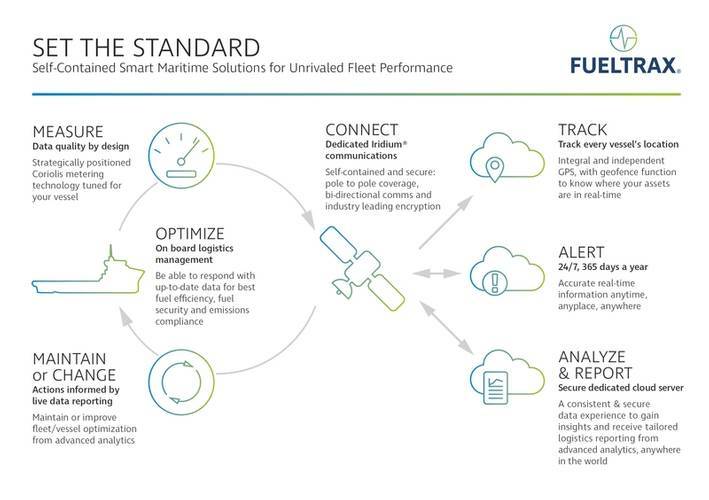 FUELTRAX optimizes uptime and reduce costs with a real-time marine fuel management solution. Solving your emissions and fuel monitoring reporting and compliance headache is what they are all about. In today’s operating environment, it would be an understatement to say that detailed insight into fuel consumption and efficiency is one key to managing marine operations. But, beyond the operational headache of determining where and why you are consuming so much fuel and so quickly, regulatory compliance is also emerging as a fundamental requirement of modern marine operators. The two cannot be separated any longer. And, that’s where FUELTRAX, a smart, self-contained fuel and data management solution comes in. 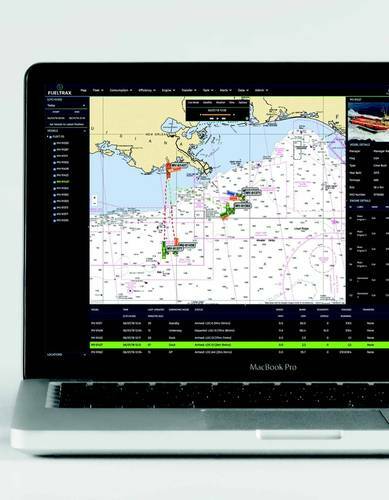 FUELTRAX operates in real-time, standardizing the acquisition, securely transfers and tracks analysis of accurate vessel and fleet performance data. Simple to install, it operates with any vessel class, fuel type, engine model or geographic location. For inland operators concerned with their bottom line, especially as it relates to a far flung fleet of many workboats, operating in multiple local jurisdictions, the possibilities for leveraging this technology are literally unlimited. In simple terms, FUELTRAX manages fuel use, recording secure, reliable, real‑time data. It improves asset value, in part by taking the strain out of monitoring and reporting. The data captured and organized by FUELTRAX helps to ensure compliance with legal requirements for monitoring, reporting and verification (MRV) of CO2 emissions. It logs fuel consumption against time, distance and cargo. For those operators concerned about the laborious ask of determining where and how much fuel was expended within each taxation zone on inland waters, FUELTRAX provides a simple and verifiable solution. And, because inland operators already contribute a massive amount of taxes to the inland waterways maintenance fund, these calculations are critical to the health of their bottom lines. Separately, and for offshore operators moving in and out of dynamic positioning (DP) mode, similar efficiencies can be gleaned from the FUELTRAX solution. In reality, there are many moving parts to that effort. A recent case study developed by FUELTRAX revealed that as much as 22% of ‘fuel spend’ happens in DP mode. In this instance, the data collected by FUELTRAX onboard was automatically categorized into the correct fuel activity category based on real-time fuel flow measurements, location, and other key data points. A report was then generated in FUELNET, in this case cataloguing fuel over the space of one calendar year, for the DP activity mode set for this fleet. The fuel activity modes were automatically generated, allowing the operator to target operational changes to fuel activities with the greatest spend. In this instance, analysis of the data recommended operational changes for the number of engines used during the DP operation. It was found through expert analysis in the FUELNET database that one Captain operated on DP using 2 engines instead of the default of 4 engines. By studying the fleet, it was found that 37% of fuel was saved by Captains using 2 engines in DP mode instead of 4. Maximum savings were received for this operator by replicating these results across the fleet. FUELNET is a fully secure cloudbased data-center that works hand in hand with FUELTRAX. It delivers fully self-contained, end-to-end, secure communications directly from the vessel to your desktop. Data is collected in real-time and analyzed by the second onboard. Minute-by-minute averages are then packaged for transmission, and a live updated is made to FUELNET every 15-minutes. Key data points are available instantly in FUELNET, such as real-time fuel consumption, number of engines running, fuel activity Mode, and live GPS location. More detailed raw data is then transferred once per day to give a complete historical analysis of the day’s fuel activities. For inland markets, FUELTRAX fleet geofencing is used to capture operational modes. Categorizing fuel spend in modes that can be customized as needed by the operator, such as time in port, alongside pier, at anchor, etc. MODES are tailored to the vessel operation types for the fleet and include the geofencing parameters as needed. The cost of fuel – especially in an IMO 2020 world – will be increasingly important to OSV operators who are only just now slowly pulling tonnage out of layup and positioning themselves to operate in a depressed day rate market. Everyone’s eyes are on initiatives for 2020, and more importantly the impact the IMO’s regulations will have on the cost of fuel. Here and overseas, OSV operators are seeing this as fuel responsibility pivot back to themselves due to the increased cost. 2020 will make fuel spend a more closely guarded OPEX for OSV owners than required for today’s OSV operations. Operators do recognize this need and are getting ahead of the initiatives by becoming early adaptors of expert fuel monitoring services. FUELTRAX is one way to get to the Promised Land. And, while theft isn’t as big a deal in domestic markets as it might be in – say – Nigeria, inaccurate fuel measurement is a problem everywhere, including the United States. Typically, in North American waters, this can take the form of unintentional inaccurate measurement due to manual errors. According to FUELTRAX, the more human intervention process there is in measurements, the more opportunity there is for inaccurate accounting or errors. The global issue of both nefarious and unintentional slippage due to traditional, ineffective methods still in use today is something that FUELTRAX technologies work to combat against. The FUELTRAX onboard solution monitors against bunkering issues includes a siren to alert crew in-real time to stop any transfers being received of the out-of-spec fuel. The firm also recently launched 6 systems as mobile, stand-alone units in West Africa to accomplish this task shoreside. These units – called the Mobile Measurement Unit or MMU – include custody-grade transfer meters, a siren, all communications equipment, and other tamper-proofing measures for a cohesive, stand-alone automated bunkering tool that can be used at any location in the world. FUELTRAX utilizes Coriolis mass flowmeters delivering real-time measurements of temperature, density, and mass. This allows for fuel quality to be detected in real time, and counters quality issues such as fuel adulteration measures like additives, low-grade fuels, water, air, or heating. A density alarm is provided for the onboard system alert on any fuel received that is out of spec based on the density settings in the FUELTRAX onboard system. A density alarm is also included on the MMU for alerts while bunkering in port. As the EU Monitoring, Reporting, Verification (MRV) regulations enter into force, these rules require operators, in certain areas, to monitor, report and verify CO2 emissions for vessels larger than 5,000 gross tonnage. This also calls for data collection on a per voyage basis. Addressing this pressing environmental reality, FUELTRAX automatically measures and reports on the key parameters needed to verify operations are performed in accordance to the IMO guidelines. Because FUELTRAX data is stored in perpetuity, these reports can be automatically generated from the time of system installation and onward. 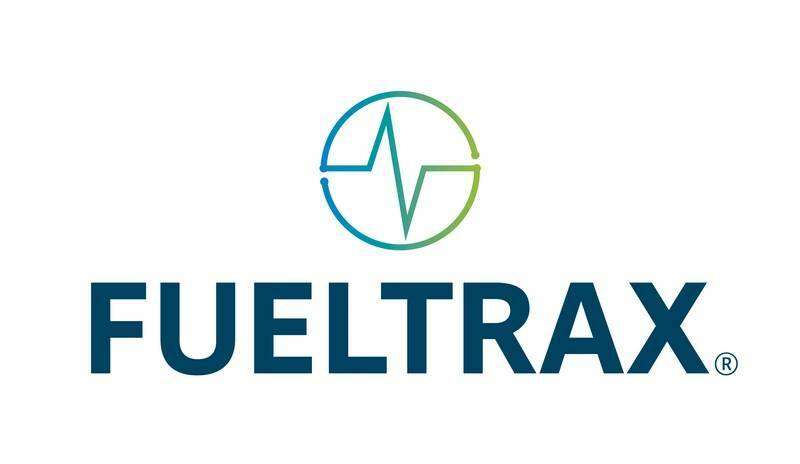 FUELTRAX provides evidence to help you make decisions about fuel use, compliance and ways to make efficiencies, so that you can stay on track. Users spend less time on report generation and analysis, with current and historic data at their fingertips. Whether focusing on improving efficiencies for a single vessel or across an extensive fleet, there are additionally no integration headaches or other communications costs required. On-board technology identifies relevant data fast, uses it effectively, and supplies predictive analytics to help keep your vessels competitive. In a nutshell, FUELTRAX lets operators know where they stand on fuel management, compliance and protecting asset health. With FUELTRAX on board, you can optimize the performance of your assets – legally, economically and with greater confidence. That’s one less thing to worry about, isn’t it?